10:30 a.m. Steamboat Springs Fire Rescue firefighters and Routt County Sheriff’s Office deputies were called to a skier collision at Steamboat Resort. 10:53 a.m. Steamboat Springs Police Department officers received a report of a man following a woman in the area of Eighth Street and Lincoln Avenue. Officers were unable to locate the man. 11:40 a.m. Steamboat firefighters were called to assist people stuck in an elevator in the 2200 block of Overlook Lane. 3:03 p.m. Officers were called to a report of a violation of a protection order. A person who was not allowed to be in contact with someone else reportedly entered the person’s home. 3:30 p.m. Officers were called to a report of a dog jumping and charging at people in the 2500 block of Cattle Kate Circle. The dog’s owner received multiple citations. 5:23 p.m. Deputies and Oak Creek Fire Protection District firefighters were called to an unknown injury vehicle crash at mile marker two on Routt County Road 14 near Oak Creek. A person was arrested on suspicion of DUI and DUI per se. The driver also received a traffic citation for careless driving. 5:59 p.m. Steamboat firefighters were called to help someone who was unconscious at a restaurant in the 900 block of Lincoln Avenue. 6:04 p.m. Officers were called to a report of a stolen car in the 400 block of Tamarack Drive. The car was not stolen. Officers determined it was a civil issue. 7:25 p.m. Deputies and Steamboat firefighters were called to an unknown injury vehicle crash near mile marker 146 on U.S. Highway 40 near Steamboat. 7:33 p.m. Steamboat firefighters were called to a report of water leaking out of an art gallery in the 800 block of Lincoln Avenue. A broken pipe on the floor above the gallery leaked water onto artwork stored in the back of the building, causing severe damage. 8:14 p.m. Deputies received a report of a suspicious vehicle at Chuck Lewis State Wildlife Area. 8:39 p.m. A person reported that someone else said he needed to report something to the police in the 100 block of Lincoln Avenue. Officers spoke to the man, who was very intoxicated. The man was transported to UCHealth Yampa Valley Medical Center for detox. 9:15 p.m. Officers were called to assist a drunken man in the 2200 block of Village Inn Court. Officers were unable to locate any friends or family members, so the man received a courtesy ride to UCHealth Yampa Valley Medical Center. Officers were then able to speak to the man’s girlfriend, who met him at the hospital and took him home. 9:47 p.m. A person reported hearing a woman screaming “help me” in the 700 block of Walton Pond Circle. He heard the scream five to ten minutes before contacting first responders, and he did not report hearing it again. Officers were unable to locate anything suspicious. 11:38 p.m. Officers were called to check on the welfare of a person walking in the roadway near 11th Street and Lincoln Avenue. The man was highly intoxicated, and a Steamboat Fire Rescue ambulance transported the man to UCHealth Yampa Valley Medical Center for detox. 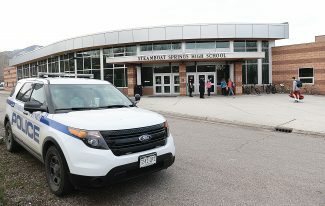 Steamboat firefighters responded to 19 calls for service.